Hiii everyone…….so friends I m here with the last part……….this part will be little emotional…….plzz don’t get upset on me…….it is for the sake of the story……..but surely ragsan will be untited……. Oherside ragini is seen walking on dark road aimlessly…..
Swalak gets tensed for him……. Laksh goes to find saskar……..while swara goes to find ragini……. Sanskar who was fully drunken last night comes and listens their conversation………………..he immediately leaves for orphanage…….. In orphanage…………ragini is seen packing her bags…. Sanskar come their banging on the door ragini turns and gets shocked to see sanskar…………….sanskar closes the door……. Ragini- what the hell sanskar………what are you doing……. Ragini goes to open the door but sanskar pulls her tightly……and pins her to wall………ragini winces in pain………but sanskar was hell angry to see her pain………. 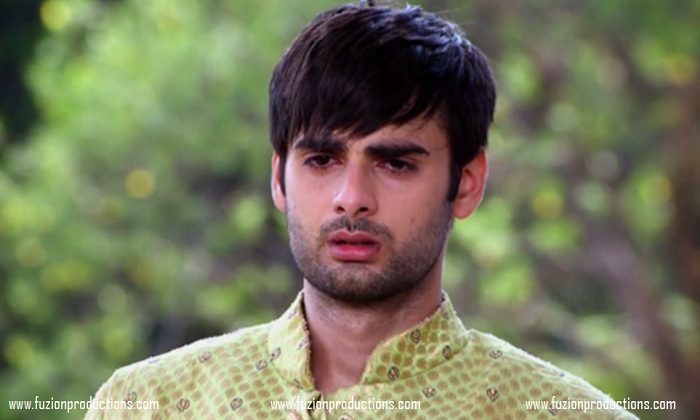 Sanskar- why ragini why……why you did this……..
Sanskar- why the hell…….ragini………I did everything for you……I disowned my parents for you………and you left me in marriage altar…………. Ragini gets terrified seeing his anger…..but keeps silents……she removes his hand and pushes him………sanskar looks at her in disbelief…..ragini goes and start packing her bags again………..
Sanskar- ragini…….i will die without you……plss don’t do this…….i m nothing without you……pls…pls……..
Sanskar holds ragini’s shoulder……….now ragini get angry and pushes him……. Ragini(shouts)-REVENGE………Mr. sanskar maheswari…….its called REVENGE….don’t you understand…I already mentioned in letter……………5 years ago you left me……I was insulted by you parents…….now it’s my turn…………but mind it I will not return to you………..
Their was complete silence for 2 mintues……ragsan were crying silently…ragini was still on bed…while sanskar started stepping backwards……. Sanskar- with this hand I slapped you………how stupid this hand is……..
Saying this he picks knife towards his hand……….ragini sees it and runs to save him………but before she could sanskar cuts her palm with knife…………. Ragini comes to him…and throws the knife………..
Ragini- are you insane……..sanskar……have you gone mad………..
Sanskar- yes yes yes……I am mad…………..i m madly in love with you…….i cant think of my life without you………..i love you damnit…. Naina..thehar ke chhaaon dhoondhte hain yun..
Ragini goes and hugs sanskar………..sanskar hugs her back…….they both cry…. Suddenly sanskar feels like ragini is not responding………….he breaks the hug and sees ragini unconscious………. Sanskar- ragini……..rags what happened to you……………..
Ragini got ready as bride…. Ragini suddenly starts feeling dizziness……….blood comes out of her nose………. Ragini see the blood and gets shocked…. Ragini- doctor atualyy what plss say doctor………what is there in report…. Ragini gets shattered………..she decides to not marry sanskar………because if she marries him……his life will be destroyed…. Sanskar goes to ragini who looks at him…. Sanskar goes near her…..and holds her hand and cries…. Ragini – sanskar……don’t cry…I will be always with you…..like air…..
Saying this he hugs her……..both ragsan cries holding each other…. Ragini- sanki before dying I want you to fulfill my wishes……..
Ragini – I want to live my last few days….as ragini sanskar maheswari………as you wife…..sanskar plss make me yours…. Sanskar- I will fulfill you every wish……. During 7 vows…..sanskar lifts her in his arms……and takes 7 vows….they smile through their tears…. They are declared as husband and wife…. At night sanskar takes ragini in his arm to their room…….which is beautifully decorated…..
Ragini breaks the hug and goes towards the window……..from where moonlight was coming………she looks at the moon………. Sanskar comes and hugs her from back…ragini turns to face him….sanskar pulls the curtain of the window…..making ragini blush…. He pulled her more making her gasp………………He rubbed her lower lip with his thumb…… She was getting nervous imaging what coming next…. He pulled her more with gaze fixed on her lips….. She wants to pull back but could not due to her heart…..
She let him do whatever he is going to do and in the very next moment his lips were on hers…. She closed her eyes as if the touch of his lips melted her……………ragsan shared a passionate kiss…. He carried her in his arms and made her lie on bed taking support of his elbow and switching off the lights….. The whole night goes on with their showering of love on each other…. She sees whole table decorated beautifully with all her favourite dishes……..ragini gets happy……she was about to turn but feels her loves touch on her belly…. Sanskar tuns her to face him……..
And runs away……sanskar chases her………suddenly ragini starts feeling dizy…sanskar holds her…. Ragini is in hospital…….whole sanskar is beside her crying…………..
Sanskar- I love you ragini….plss don’t go…ragini……..
Ragini- I ….i love you….too sanskar …. Ragini loses her breathe…..and dies in sanskar arms………..
Laksh notices sanskar is not showing any movement………laksh goes to sanskar…….but is shocked to see sleeping pills in sanskar’’s hand……. Laksh and swara tries to wake sanskar……..but sanskar alos dies with his ragini………. Both dies in each other’s arm…..
Ragsan liast rites are done………they dies hugging each other so tightly…that they could not be separated…………they are put on fir together…..
A girl is shown….sleeping on bed…. The girl wakes up and is exact replica of ragini………..
Next day….ragini gets ready as bride…. The groom is revealed to be none other than sanskar…. Swalak standing at far……sees their daughter’s marriage………. Swara- finalyy ragini and sanskar are together…. Laksh- yes their eternal love for each there……..forced them to come together again………..
perfect pics esp swalak ragini pic. It’s a beautiful ending. Please give us epilogue. Amazing dear. Please write epilogue. Amazing mind blowing story. Write happy ending Ragsan story. Really awesome dear. Ragini leaving at marriage time is too emotional. Hospital seen was also good. Liked ending much.